Even before the utter disaster that erupted around its championship game this week, NBL Canada had been struggling through its fourth year of existence, still unable to attract significant audiences. 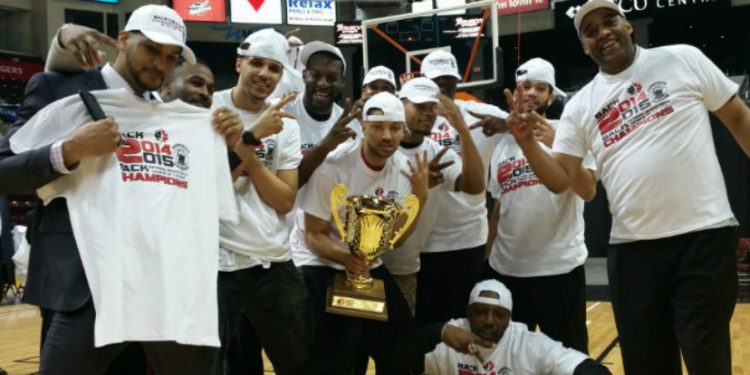 But when defending league champions Windsor Express won Game 7 Thursday night by means of a forfeit, Canada’s pro basketball league was handed a mess with no easy fix. The leaderless league – commissioner Paul Riley was dismissed when the board of directors voted unanimously on Jan. 23 to exercise a termination clause in his contract – has launched an investigation to find out more about a pre-game incident that saw the Halifax Rainmen skip out of the deciding match of the 2014-15 season. This much is known: there was tension between the teams, and their owners, before the championship game. A physical tone was set early in the series when seven-foot-two, 275-pound Halifax centre Liam McMorrow, a Toronto native, fell hard to the court with his neck snapping back as he hit. McMorrow complained of tingling in his arm and was taken on stretcher to hospital. McMorrow was with the team when they arrived midday Thursday at Windsor’s WFCU Centre ahead of their scheduled time for shoot-around and found the Express on the court, which led to conflict between McMorrow and Windsor head coach Bill Jones that escalated quickly into a brawl between players and staff of the two clubs. As game time approached, Windsor fans chanted, waited and then seemed mystified as the Express warmed up with no opponent in sight. Little did the spectators know the Rainmen were already on the road back east. The game was delayed half an hour before Windsor was declared the winner of the game and, by extension, league champions. Levingston’s team has been fined $20,000. Halifax head coach Josep Claros and assistant coach Pedro Monteiro were fined and issued a lifetime ban from coaching in the NBLC, and each player received a $5,000 fine and indefinite suspension pending investigation. The fines are especially steep for a league where an entire team’s salary cap is set at $150,000. The reputation of NBL Canada may be beyond repair. That would be unfortunate for some of the many good people involved, working hard to reverse the negative publicity that comes from a few bad eggs. But this very public no-show looks terrible on a league facing the threat of teams folding due to poor attendance. And such a display couldn’t have been encouraging for the Niagara ownership group – recently granted a franchise to begin play next season – that was in attendance for Game 7. Alex Johnson, a member of this year’s All-Canadian team who became the first Canadian to be drafted first overall in the NBL Canada draft last season, wants better for the fans. “If we’re trying to make this a better league and have a blueprint like we’re following the NBA, then [the NBLC] said there was going to be a forfeit, the fans would be disappointed, they’d be angry,” Johnson, who played this year for Mississauga and Saint John, said in an interview Friday. Before the debacle of Game 7, the final round had been a hotly contested and exciting series that seesawed back and forth throughout. The Express had trailed by 15 points midway through Game 6, down in the series 3-2, before coming back to claim a 119-112 win and force Game 7. The final game was to be the scene of confrontation between the previously injured McMorrow and Express centre DeAndre Thomas, who stands six foot eight and weighs 300 pounds. Thomas has a history of conflict. After an ugly on-court fight last year, the Chicago native was suspended five games. During halftime of a 2011 Premier Basketball League game Thomas was kicked off the team for his behavior. The owners of the teams also have a long history. Halifax’s Levingston and Express owner Dartis Willis grew up across the street from each other in Detroit, shooting hoops after school as kids. The excitement of the series didn’t translate into big crowds. According to league figures, the three finals games in Halifax attracted 2,417, 2,758 and 2,691. The first two games in Windsor drew about 1,100 and 1,600. Those who showed up for Game 7 were offered a refund. The league’s investigation into the incident will be headed by Brampton A’s coach David Magley and London Lightning owner Vito Frijia will act as spokesman for the league. Many will likely echo those sentiments: Canada deserves a pro basketball league, but the NBL of Canada still has trouble proving it is it. Simi Shittu Headlines New England Showdown – Teams and Schedule Announced!